China Solar & Clean Energy Solns., Inc.
China Solar & Clean Energy Solutions, Inc. (OTCMKTS:CSOL) designs and provides integrated renewable energy solutions for industrial clients and real estate developers in China. The Company manufactures and distributes solar water heaters, biomass stove, spacing heating devices along with industrial waste heat recovery systems, including hot tube heat exchanger, high temperature hot air furnace, heat pipe evaporator, dust removal and desulphurization system and constant pressure hot water boiler. The China CleanTech Index rose from 53.27 to 56.14 over the month of February recording a 5.4% gain. This compared to the NEX gain of 7.8%, the CTIUS gain of 9.3%, the Shanghai Composite gain of 3.2% and the MSCI gain of 5.7%. 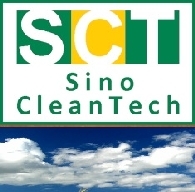 The China CleanTech Index rose from 52.70 to 53.27 over the month of January recording a 1.1% gain. This compared to the NEX loss of 1.5%, the CTIUS loss of 3.3%, the Shanghai Composite loss of 0.7% and the MSCI loss of 1.9%. The combined investment themes of China and environment provide a compelling case for investment. The sector remains volatile as it matures and reacts to environmental and industry development policy shifts. The quality and scale of the companies included in the sector varies widely and strong research into both sub-sectors and companies is essential before committing to the sector. The China CleanTech Index rose from 48.59 to 50.15 over the month of November recording a 3.2% gain. This compared to the NEX loss of 2.9%, the CTIUS gain of 1.4%, the Shanghai Composite gain of 10.8% and the MSCI gain of 1.8%. The best performing sub-indices for the month were the China Hydro Index with a 6.7% gain and the China Efficiency Index with a 1.0% gain. The two weakest sub-indices through July were the China Storage Index which recorded a loss of 7.5% and the China Solar Index recording a loss of 7.3%. The China CleanTech Index provides the April-June 2014 quarterly performance report. It includes: China CleanTech Index overview, China CleanTech Index performance, component sub-indicies and index component companies. The China CleanTech Index fell from 44.68 to 42.14 over the month of April recording a 5.6% loss. This compared to the NEX loss of 3.7%, the CTIUS loss of 2.3%, the Shanghai Composite loss of 0.4% and the MSCI gain of 0.8%. The China CleanTech Index underperformed all of its four benchmarks for the month of March 2014 and recorded a loss of 4.5%. The China CleanTech Index fell from 46.8 to 44.7 over the month of March recording a 4.5% loss. This compared to the NEX loss of 2.5%, the CTIUS loss of 0.9%, the Shanghai Composite loss of 1.1% and the MSCI loss of 0.1%. The China CleanTech 20 fared worse with a loss of 5.7%. The China CleanTech Index recorded a 2.1% gain in October 2013 but underperformed against three of its four benchmarks. The China CleanTech Index rose from 41.68 to 42.56 over the month of October recording a 2.1% gain. This compared to the NEX gain of 5.1%, the CTIUS gain of 3.5%, the Shanghai Composite loss of 0.9% and the MSCI gain of 3.8%. The China CleanTech Index provides the definitive measure of the performance of Chinese cleantech companies that are listed on stock exchanges around the world. The China CleanTech Index rose strongly in July 2013 to resume its strong performance from earlier in 2013. Over the month, the Index outperformed all but one of its four benchmarks.